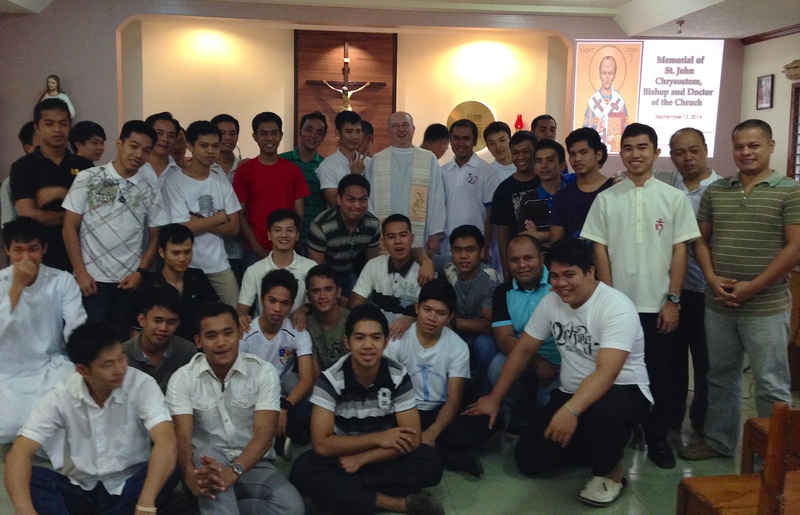 Visiting students and ministries on Mindanao | Walk with us! As noted previously, Fr. 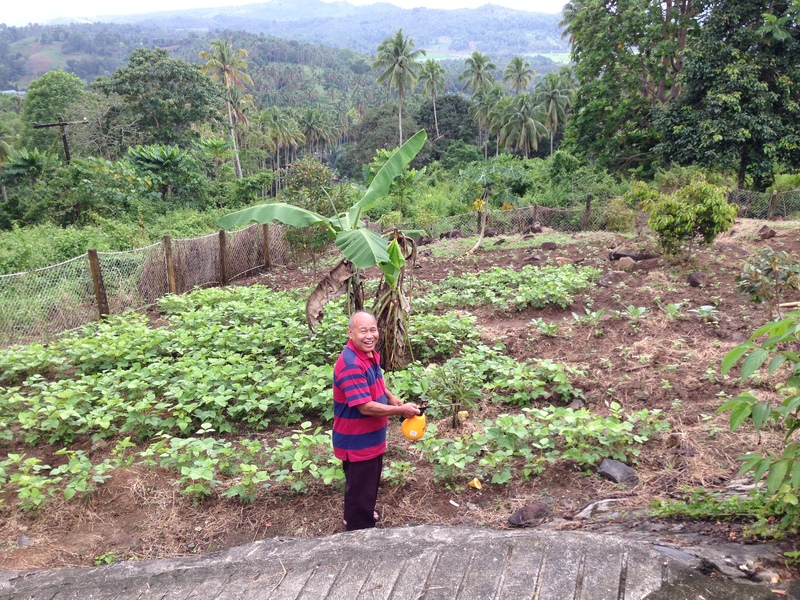 Stephen Huffstetter is spending much of September learning about our communities and ministries in the Philippines and Vietnam. 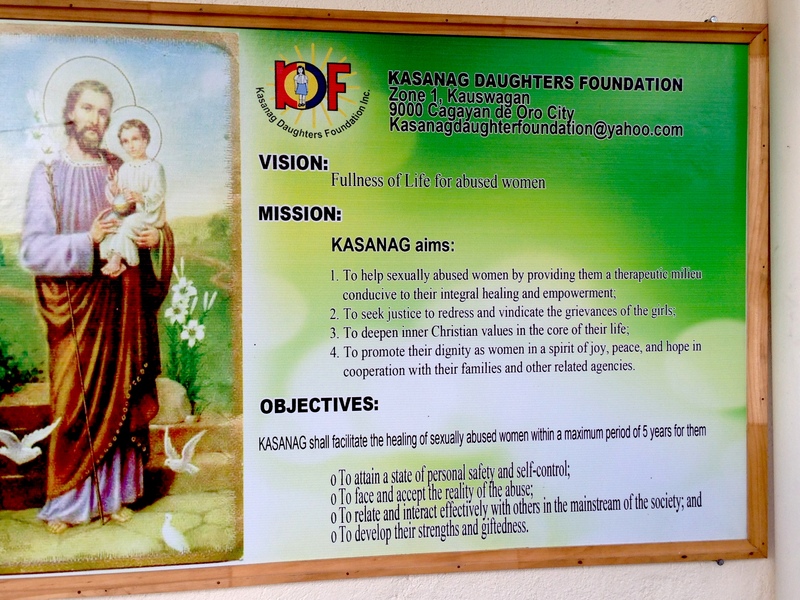 Today he writes from Cagayan de Oro, where he visited with undergraduate formation and the Kasanag Daughters Foundation. Our boat arrived in port just after sunrise. Watching the crew maneuver the large ship into the dock with fist-sized ropes and mechanical winches gave me an appreciation of their skill at a complex task. Too often I take for granted the daily labors that produce and transport our daily bread. Our pre-novitiate formation house is located in this university town. When we drove through the college campus I was surprised to see all the students wearing high school-type uniforms. It saves a lot on student expense as they don’t have to compete with the latest styles, and gives campus security a clue as to who are visitors. Tuition and fees here would run about $800 per year. While that seems so little compared to costs in the United States, that represents a year’s income for about a third of the population. The formation house holds several different programs. The largest group is those earning a degree in philosophy. A smaller group is in an initial orientation program to learn about the SCJs and community life. Often these students improve their English skills to get them ready for college-level work. One section of the building is for the postulants, who after philosophy, are preparing to enter novitiate. We headed away from the coast into the interior hills where SCJs staff a parish encompassing some 30 small chapels. As we drove I noticed people using the paved road to dry and even grind corn and other produce. The area is rich in coconuts and tropical fruits. Many of the people are tenant farmers who are able to get by only with the basics. I saw a good number of school-aged children along the way. When their families can’t afford uniforms or school fees the children often work in the fields or other jobs. The parish sponsors a dormitory near the high school, which enables students from more distant villages to attend school. The place is simple, with sleeping mats rolled up during the day in the two common rooms. On weekends some will walk 10 miles home to spend time with their family. We visited the Kasanag Daughters Foundation, a home and place for healing for girls 11 and up who have been sexually abused. Kasanag symbolizes sunlight, rays, and the dawning of a new day. With the support of a house mother, social worker and counselors the girls attend school and try to rebuild their lives. This was the SCJ project I was most interested in seeing. After a tour of the house, I sat in the living room with five of the residents who have been in the programs for several years. Two are finishing college, two are in high school, and one is still in elementary school. They were fairly nervous in the presence of a stranger, but Fr. Robertus’ presence, since he is their chaplain, helped some. When I told them about my work with Native American children who often came from difficult family backgrounds, that helped as well. I learned about their daily routines and the support they get that is allowing them to finish school and build a future. When asking about interests and talents, one girl loved music so I asked if she would mind playing a tune on her guitar. The whole group joined in with lovely harmonies on a hymn that was so uplifting. When it came time for a goodbye, I was asked to give them a blessing. I asked if they knew the song Amazing Grace. They all did, when I borrowed the guitar to lead a few verses they all joined in. Through many dangers, toils and snares I have already come… I appreciate the difficulties these young women and girls have been through and prayed for their continued healing. 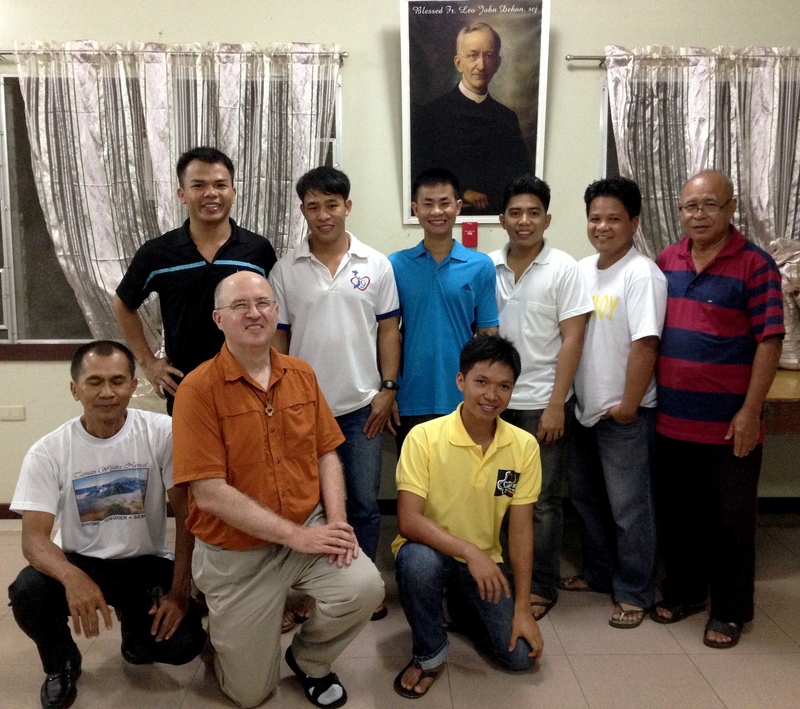 I was invited to have a conference with the formation students after supper. I spoke briefly about my vocation story and background of the kinds of ministry I’ve done, then opened the floor up for questions. They ranged from who is my favorite basketball player to who is my favorite philosopher. I’ve never been asked that one before. They also asked good questions about how you handle doubts and struggles along the way as you try to discern God’s call in your life. They had lots of questions about our US Province and asked about possibilities of someday studying or ministering in the States. The formation staff double as farmers in student community!